Le politique nous concerne tous : chaque jour, des décisions publiques sont adoptées qui impactent notre quotidien. Dans quel contexte ces décisions sont-elles adoptées ? Au 21ème siècle, de nombreux paradoxes brouillent la vision que nous pouvons en avoir. Qu’est-ce que le pouvoir dans la société actuelle ? Quels acteurs en détiennent ? L’État demeure-t-il un acteur politique majeur s’il est concurrencé par des organisations internationales et régionales ? Comment la démocratie prônée par la communauté internationale se différencie-t-elle des régimes autoritaires voire totalitaires ? Quelle est la place des idéologies dans le monde actuel ? Le cours vise à comprendre et à expliquer des phénomènes politiques à partir d’une posture d’analyse critique. Politics impact all of us: everyday political decisions impact many areas of our lives. In which context are these decisions made? In the 21st century, many paradoxes blur our vision of these decisions. What is power in a multi-level society? Does the state remain the main political actor, if it is in competition with international and regional organizations? Can democracy – pushed forward by the international community – coexist with authoritarian, or even totalitarian, regimes? What is the role of ideologies in contemporary politics? The course aims at understanding and explaining political phenomena from a critical standpoint. This class examines the relationship between a number of mind-altering substances and cultural processes. We look at the relationship between drugs and such phenomena as poverty, religion, technology, inter-generational conflict, colonialism, and global capitalism. We read about the physiological and psychological effects of these substances -- ranging from alcohol to LSD, cocaine and ecstasy -- and ask why different societies prohibit and sanction different drugs. We examine the use of mind-altering substances in a number of "traditional" societies, and follow the development of a global trade in such substances as sugar, coffee, tea, nicotine, cocaine, and marijuana concurrent with the evolution of global capitalism. We look at the use of LSD as a mind-control substance by the CIA and as a mind-altering substance in the 1960's counter-culture, and we look at the rise of Prozac® and Viagra® as popular, if controversial, pharmaceutical products in recent years. Finally, we evaluate America's current drug laws. 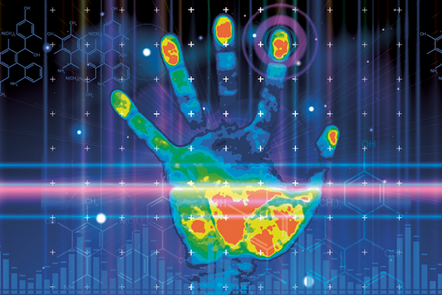 This course explores how the police use science in criminal investigations and how it interacts with the criminal justice system. HLS1x Copyright will explore the current law of copyright and the ongoing debates concerning how the law should be reformed. Ce cours propose une introduction à la protection internationale des droits de l’homme. Il en présente les sources, les catégories, le contenu et les limites qui leur sont opposables, ainsi que les obligations qu’ils génèrent à la charge des Etats. Il expose aussi les principaux mécanismes de mise en œuvre prévus au niveau universel et régional pour assurer leur respect. Understand how basic scientific principles underpin forensic science and can contribute to solving criminal cases. 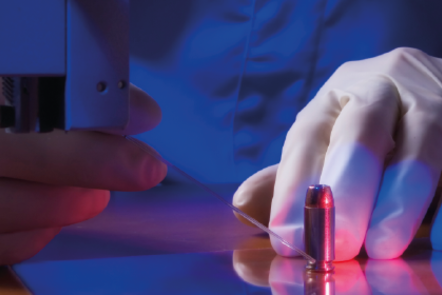 The methods and scientific underpinning of forensic science, from crime scene investigation to reporting evidential value within a case. Taught by one of the world’s leading experts in the field, this course will educate students about the fundamentals of international criminal law and policy. We will explore the challenges of prosecuting international genocide, war crimes, terrorism, and piracy cases. This six-week course is designed to help the criminal justice student learn how to gather, analyze, and process data in the course of large scale criminal case investigations. The FBI Major Case #203, “Pizza Bomber” investigation will be utilized as a case study for this course. Subtitles are available in Chinese, German, Portuguese, and Spanish.